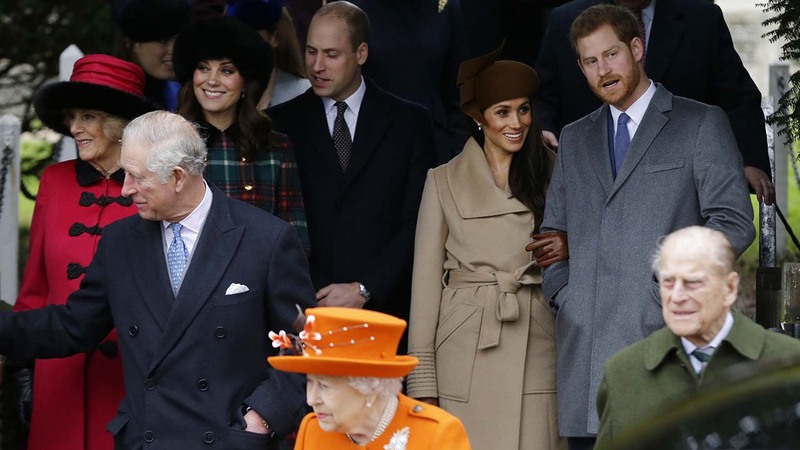 Kate, Duchess of Cambridge, left, Prince Philip, 2nd left, with Meghan Markle, 2nd right, the fiancee of Prince Harry, right walk to the traditional Christmas Day church service. 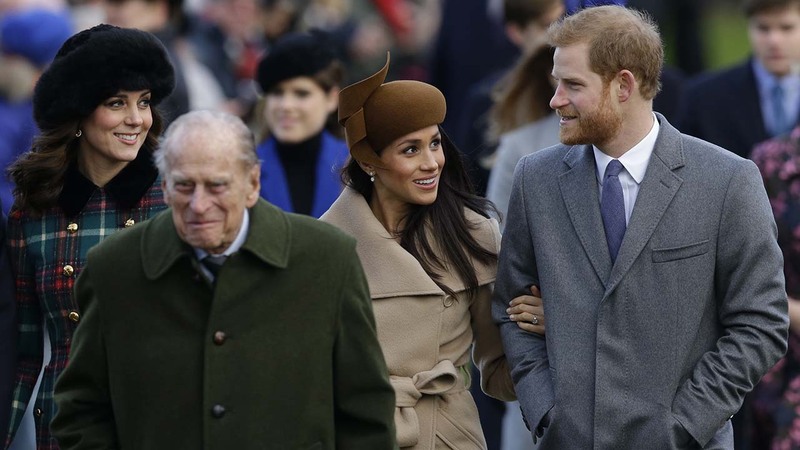 Prince Harry and Meghan Markle were met by hundreds of well-wishers as they turned out for the British royal family's traditional Christmas Day church service. 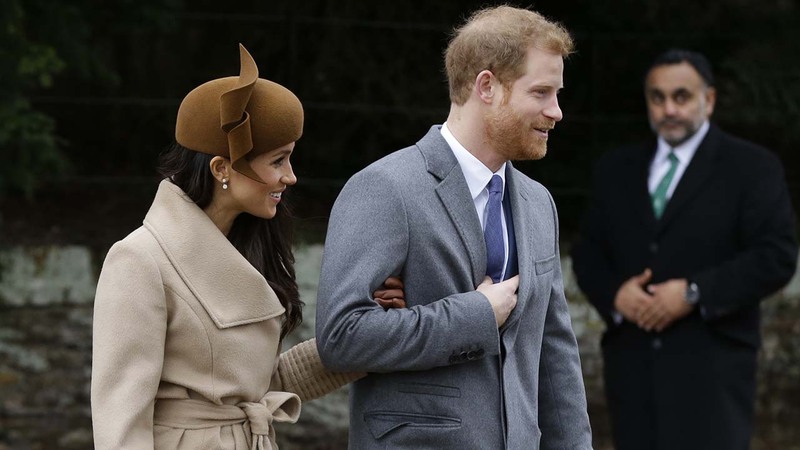 The pair, who announced their engagement last month, joined Queen Elizabeth and Prince Phillip, as well as other family members at Sandringham, the Queen's country estate in rural Norfolk, about 100 miles north of London. 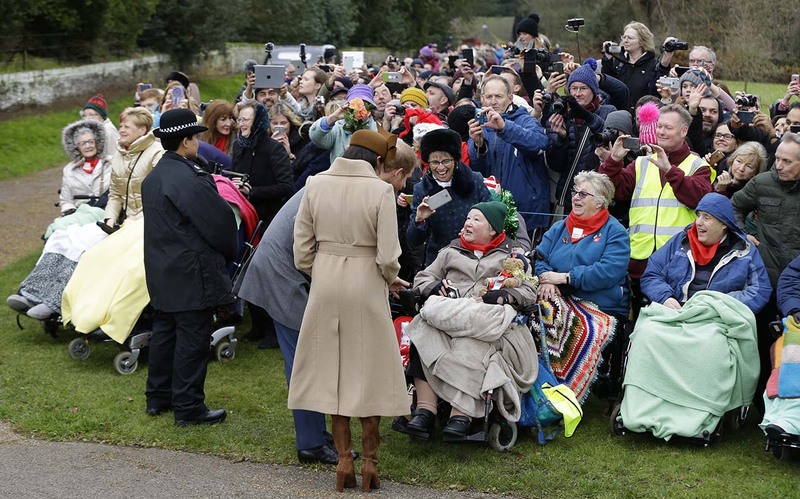 Last year was the first time since she began spending Christmas at Sandringham in 1988 that the Queen had missed a Christmas Day service. 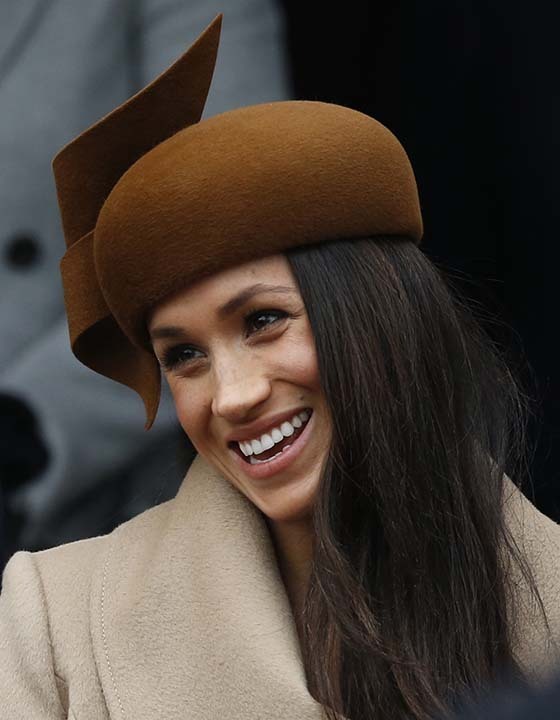 She had been diagnosed with a "heavy cold."